Ahead of their June 9th release of their upcoming album Wild Nights, UK's PINS have released their new single "Young Girls." Also, they just announced their U.S. summer toiur which kicks off June 13rh in New York. "Young Girls' is my ode to all the wanna-be's and gonna-be's, it's about having a dream and making it happen," says lead singer Faith Vern. "In many ways I feel like I am in the middle of a transition and 'Young Girls' is written from that vantage point; its' full of determination, frustration and celebration... much like most days in this band!" Last year, PINS, consisting of Faith Vern (vocals/guitar), Anna Donigan (bass), Lois Macdonald (guitar) and Sophie Galpin (drums) had a breakout year. 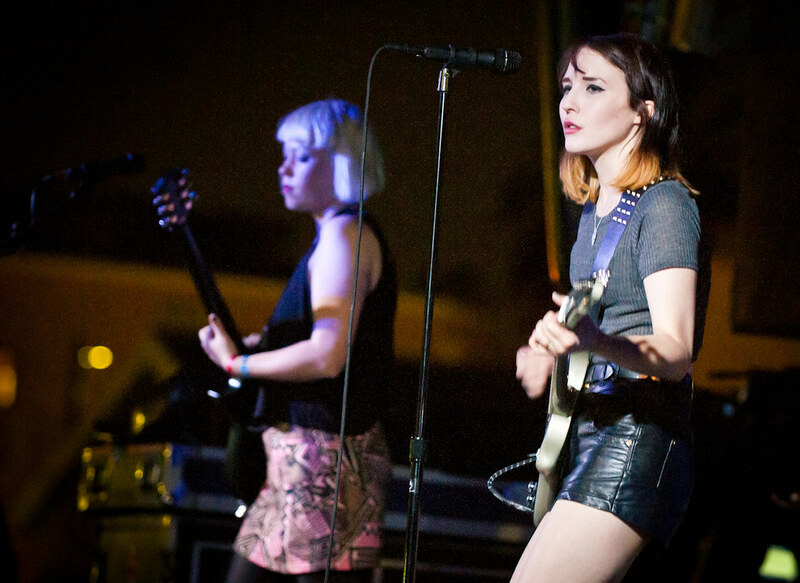 Their critically acclaimed debut album Girls Like Us thrusted them into the spotlight, allowing them to go on tour and share the stage with Sleigh Bells, Warpaint, The Growlers and Sleater-Kinney.